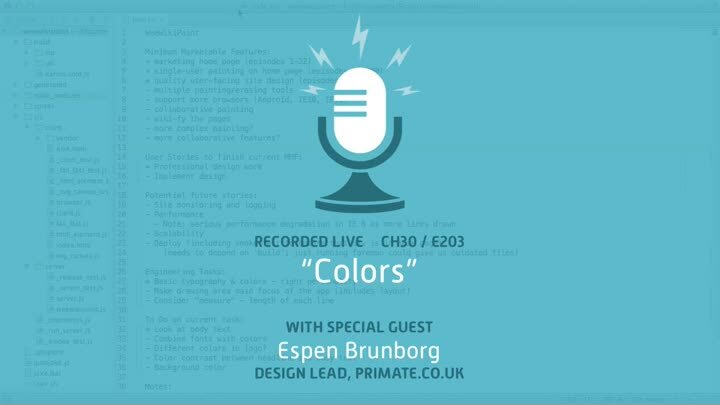 We continue our design work with Espen Brunborg by looking at the typography of our body text, then segueing into a discussion of color. Which colors do we want? What about greys and contrast? It all starts to come together.